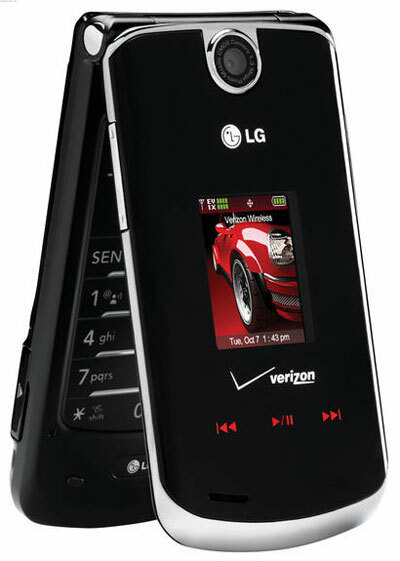 Verizon Wireless users with a sweet tooth take note: the much anticipated clamshell version of the LG Chocolate phone—the LG VX8600—is now available at your friendly neighborhood VZW store. It's pretty much the same as the slider version of the Chocolate that's been available for a few months now (touch-sensitive buttons and all), but now people can pretend to look cool as they flip their cellphone open. (Folks, that stopped being cool 14 seconds after the first person did it.) The cellphone is compatible with Verzion's V-Cast service for downloading video clips, music, etc. 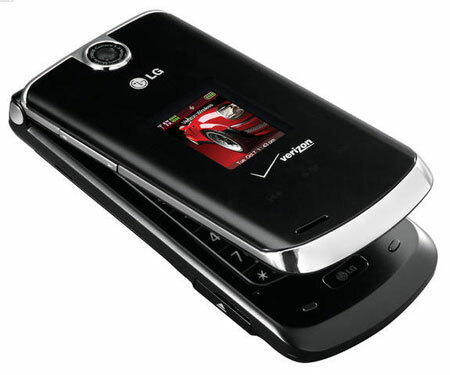 It sports a 1.3-megapixel camera, Bluetooth, a microSD card slot and a dedicated music mode, which makes sense given that they've been trying to market the thing as the next iPod. Keep reading for more glamor shots of the phone and some final thoughts. Feature-wise, it's essentially a carbon copy of the Chocolate all the kids have now, but in a trendy-three-years-ago flip version. 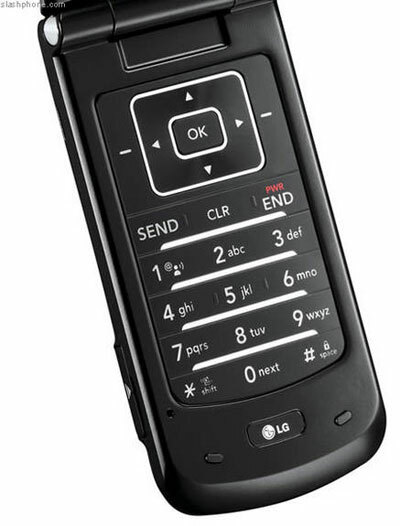 So if flipping is your thing, it's a pretty nice looking cellphone. Atrocious battery life is a Chocolate hallmark, so the 220 minutes of usage time (398 on standby) is not surprising at all. Better keep near a charger since you'll need sooner rather than later.